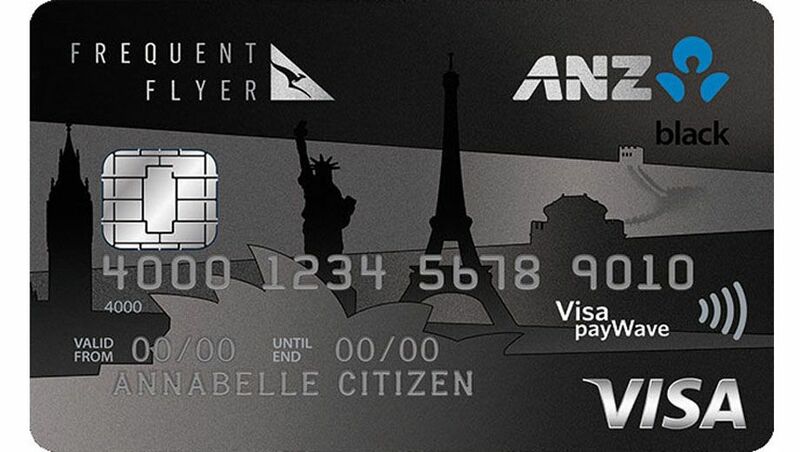 ANZ's Frequent Flyer Black Visa credit card allows you to earn up to one Qantas Point per dollar spent up to $7,500 per monthly statement period (halved thereafter), and can be used either as your sole points-earning plastic or in tandem with a higher-earning American Express card to maximise your points. But ANZ's top-of-the-line Qantas card offers more than just points: there are also more travel perks than you could poke a stick at, including lounge access with Qantas and the independent Velocé scheme, a substantial discount on ongoing Qantas Club membership, and of course, free international travel insurance. Closer to home, ANZ's optional eDine program unlocks discounts of up to 50% at hotels and 20% at restaurants to keep you covered, and with an offer of 100,000 bonus Qantas Points and $200 back to your new card (when you apply and spend $4,000 on eligible purchases in the first three months from approval), you'll be able to fly there in style, and save on annual fees in the first year. Rounding out the key list of features and perks is support for Apple Pay, Google Pay, Samsung Pay, Fitbit Pay and Garmin Pay, allowing you to purchase goods and services in-person without presenting your physical card at any business that accepts contactless payments via their EFTPOS terminal. Interest rate on cash advances: 21.49% p.a. Minimum income requirement: $75,000 p.a. Apply, be approved and you can earn 100,000 bonus Qantas Points plus $200 back on your card after spending $4,000 on eligible purchases in the first three months. On the points front, that's enough for a return Qantas business class flight from Sydney to Jakarta, plus a payment on the side to cover taxes, fees and other charges when booking. As you continue to use the card, you'll also be earning Qantas Points at one of the highest rates in Australia for Visa spend, keeping your Qantas Frequent Flyer balance topped up. Every year, cardholders can request two complimentary Qantas Club lounge passes – valid in domestic Qantas Club lounges and the airline's own international business class lounges, except for Los Angeles, Singapore, and the Qantas Transit Lounge in Perth. For more frequent travellers, Qantas Club membership can also be purchased via ANZ at a $497 discount in the first year over the full 'individual' price, while unlimited access to a range of independent airport lounges is also provided through automatic membership in the Velocé international lounge scheme. Not to be confused with Virgin Australia Velocity, Velocé is an independent lounge network with locations around the world: but once you have your ANZ credit card, do sign up for an online account with Velocé to stay abreast of your lounge options, because participating lounges do change from time to time. Charge just $250 of your international flight, accommodation or other associated travel costs to your ANZ Frequent Flyer Black Visa and ANZ's free travel insurance may provide cover on trips of up to six months. Interstate flight inconvenience insurance and rental car excess cover are also available, as is extended warranty cover, 90-day purchase security insurance, and access to a telephone concierge service to help with your travel bookings and special arrangements. With the annual fee partially offset in the first year, substantial discounts on Qantas Club membership and unlimited lounge access via Velocé, the ANZ Frequent Flyer Black Visa credit card can easily save you money: all while earning a high number of frequent flyer points on your everyday spends. The only major downside is the high minimum credit limit of $15,000 compared to many Platinum-grade cards which usually begin at $6,000, which some people may find harder to qualify for if they already have several cards to their name. Advanced frequent flyer users could also consider coupling the ANZ Frequent Flyer Black Visa with a separate, high-earning American Express card (such as the AMEX Qantas Ultimate Card) to earn the most points where AMEX is accepted, and a respectable number of points where it's not, courtesy of ANZ. Great card. The bonus SCs and sign up bonus points credit quickly. Worth keeping for up to a year, but not worth paying the annual fee for the second year. Chris the Veloce program is quite sub-par. It's not available in some major international airports and when it is in some cases its a cafe voucher from a basic menu and tea or coffee! Nothing as exciting as it may read in your article. ANZ's past lounge access with Black cards was far superior. It's certainly not on-par with something like Priority Pass, but Veloce maintains an online directory of lounges which can be accessed by ANZ cardholders so that you know what to expect at each airport. Advantage is that you can be flying with any airline and have access - disadvantage is that as the lounges are all independently run, the standards can differ significantly between them. Make sure you apply online to avoid the annual fee. I joined up by ringing through an application and was charged the full fee. 10 calls later they reduced it by $200. Same if you apply for the card in a branch. They don't warn you of this. I applied at a branch and the staff member was able to select the no annual fee offer. Just make sure you ask for it though. Please correct me if I am wrong but I don't think this card allows lounge access in Auckland or Singapore? If it indeed does could someone please tell me which lounge can be used. Thanks. Hi devilish, the most recent 'lounge list' we'd received from ANZ indicated that the Emperor Lounge in Auckland and the Airport Wellness Oasis lounge in Singapore were available to Black cardholders, but it seems that these no longer appear in the online Veloce lounge directory, so we've updated our article accordingly with other examples of lounge locations relevant to Aussie travellers based on the latest listings, including Tokyo, Abu Dhabi, Doha, Dubai, London, New York and Johannesburg, among others. Thanks for flagging! Thanks for the follow up Chris. "either as your sole points-earning plastic or to use in tandem with a higher-earning American Express card to maximise your points." What's the question, Steve? Cardholders may choose to use only the ANZ Visa to earn all their credit card points, or could pair the product with a higher-earning AMEX card (e.g. 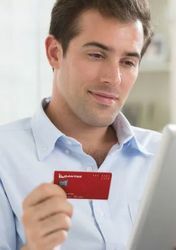 Qantas AMEX Premium, Qantas AMEX Ultimate, Altitude Black AMEX) to earn the most points possible on their overall spend. Isn't it he case that ANZ has stopped issuing and has also cancelled previously existing Black AMEX? Certainly was my experience. These aren't ANZ AMEX cards: they're issued by other banks, which people may choose to have in addition to the ANZ Visa. David you really need to revisit this article. The Veloce ‘lounge access benefits’ are simply a joke and with all due respect doesn’t deserve an article in ABT. It’s really all hype and no substance in reality. ANZ should be ashamed calling this a “benefit”. Veluce is a bad joke. Just cancelled this card today. It was a holdover from when it came with an AMEX and with an annual fee due in a few days there is no way this one was worth it. Will go with the QF AMEX and churn through a series of Visa/MC in the next year or so to get the sign up bonuses. Unfortunately my experience with the ANZ cards is awful. They get you by offering you all the perks counting on you not to use them. With my Black card I have free access to lounges around the world via Veluce, I’ve visited 7 lounges in Asia in the last 6 months and none accepted it saying that the bank stopped the arrangement. When I rang ANZ in the spot they said that these deals are no longer in place. When I asked why do you keep advertising it, they answer policies and services change all the time. Simply put, stay away from empty ANZ c.cards promises. Comment on "ANZ Frequent Flyer Black Visa"